As a 90's teen, slightly WCW obsessed to boot, Diamond Dallas Page holds a very special place in my wrestling memories: alongside Sting, he stood out as a shining beacon of hope for the good guys against the depredations of the burgeoning NWO. So with that in mind, I approached this DVD with a mixture of excitement and reticence – is this going to be a festival of my boyhood hero, or another opportunity for WWE to wave the victor's flag over The Monday Night Wars? This three-DVD set follows the usual WWE biography format, comprising of a documentary disc and two of supporting clips and matches. Dallas himself introduces and presents his own journey from the off, immediately giving the documentary an original autobiographical feel, particularly as he describes his less-than-perfect childhood, and the traffic accident that stole his early sporting potential. The novelty is amplified by the topsy-turvy route he took into wrestling. From owning a bar frequented by wrestlers, he ended up cutting a managerial audition tape that was picked up by the diminishing AWA, before joining 'The Dean' Gordon Solie on commentary for the Florida territory. Back into management, he represented the Freebirds in WCW; traditionally, these sort of roles went to ex-wrestlers or those in the twilight of their careers, but DDP's was only just beginning. At the age of 35, he headed to WCW's Power Plant training facility to begin his in-ring career. The vox-pops from Page's peers, present throughout the film, convey the incredulity well at this stage. Following the end to his improbably successful wrestling career, Diamond Dallas Page created a modified form of Yoga that spans physiques and abilities, DDP Yoga. Not only that, but he has used it (and his bottomless positivity) to give both Jake 'The Snake' Roberts and Scott Hall a new chance at life after they looked to have pressed their own personal self-destruct buttons. Whilst this film goes into that in a little detail, The Resurrection of Jake the Snake is recommended viewing on the subject. On that note, and the re-ignited relationship with WWE it provoked, this heart-warming tale reaches it's satisfactory conclusion with Page's sprightly appearance at the age of 59 in The Royal Rumble 2015 and a phone-call from old buddy Triple H to inform him of his impending Hall of Fame inclusion. The second disc contains some more documentary clips that must have missed the cut, mostly expansions of themes from disc one, but really worth the watch. A lot of humorous stuff, but the best is saved 'til last: the full audition tape DDP sent to Verne Gagne's AWA. It really does have to be seen to be believed. The match selection for the remainder of disc two, and the entirety of three, ranges from the solidly good (if not in technique or psychology, then for historic perspective) to the excellent. Twenty-one bouts in all on the DVD version, with the first batch focusing on the initial in-ring development of DDP. The first four matches are all tags, with the obviously still-green Dallas mostly teaming with his former managerial charges - the Diamond Exchange or Vegas Connection stables - people to whom he would become inextricably linked throughout his career. The Diamond Studd (Scott Hall), Vinnie Vegas (Kevin Nash) and Scotty Flamingo (Raven) all feature against an array of early-nineties WCW luminaries. Page also had plenty of singles feuds as he rose up the card during Eric Bischoff's tenure in charge, notably against Johnny B Badd, Randy Savage and Hulk/Hollywood Hogan, as well as United States Championship rivalries with Eddie Guerrero and Curt Hennig. All have a match included on the second DVD; not necessarily the ones I would have picked personally, but stand-up examples nonetheless. Disc three is a library of DDP at his zenith, opening with two of WCW's most infamous 'celebrity' bouts: with 'Mailman' Malone against Dennis Rodman and Hulk, and with chat-show host Jay Leno versus Hogan again, this time with Bischoff. Unsurprisingly the match involving the sportsmen rather than the TV personalities is the better of the two. The next pair have their own place in the tapestry of wrestling's past too. As thousands of paying customers missed DDP's Halloween Havoc '98 main event defeat to Goldberg when it over-ran the PPV time, it was repeated the following day on Nitro. At the end of the same episode, DDP got the US title from Bret Hart instead. The championships keep rolling on this DVD set, as this is followed with Page's first World Heavyweight win in an excellent four-corners fight featuring WCW's marquee talent Hollywood Hogan, Ric Flair, Sting and Special Guest Referee, Macho Man Randy Savage. Another pair from the same night again, as Dallas firstly lost the Big Gold Belt to Sting before a No-DQ four-way (also involving Nash and Goldberg) saw him regain it. DDP's Tag Title victory with Jersey Triad partner Bam Bam Bigelow against Raven and Perry Saturn is the penultimate match, whilst the quite frankly brilliant WrestleMania X8 bout versus 'protégé' Christian represents his post-WCW 'cup of coffee' in the WWE and rounds out the collection. There were a few matches I was a bit surprised not to see included, but they would bring the tone down somewhat. For better or worse, I expected to see DDP lose his third World title (won the previous night from Jeff Jarrett) to his own tag partner, David Arquette, in one of the greatest farces in history. I thought I might see Dallas's first major [TV] title win against WCW's ill-fated Warrior clone, the Renegade. Maybe the turn on the NWO at Souled Out. Mercifully enough, there was no source material on the Undertaker versus 'Stalker' DDP storyline. Just like the subject, this DVD set is an uplifting, relentlessly positive thing of joy. We all need a bit of that in our lives. WWE Wrestlemania Monday is a three disc boxset giving fans a behind-the-scenes look into the all important night after Wrestlemania, the “new year’s night” as Enzo Amore calls it in the WWE 24 documentary that forms the hub of this set. With the documentary taking place in 2016, we get interviews with a cast of superstars, many of them relatively new to the main roster and the events directly after Wrestlemania 32, whilst established stars talk about their experiences. Everyone speaks positively about the post-Mania Raw, with emphasis on how raucous the crowd are and how big an event that episode of Raw is. We see big debuts, huge moments and it really does reinforce how important the day after Mania is. It’s occasionally emotional (especially the speeches) and there are certainly moments where longtime WWE fans will get goosebumps (mostly for the returns). JBL says it best when he says that, for many fans, this is the last show that the fans will do on the Wrestlemania weekend. It’s almost like a final blow out for the fans and they want to go out with a bang. “It’s almost like the Bizarro-world night,” says Sami Zayn, about the audience interaction, and it’s pretty much true. Watching the NXT guys as they step up to the main roster is a great moment, they all speak highly of their experience and it’s by far the most interesting bit of the documentary. When Amore and Cass speak about their journey from developmental, the criticisms they received and the work they put in, along with the faith that WWE have in their elevation to Raw, it’s an emotional story and reflection at its finest, especially when it's combined with historical footage of how they looked and performed in the past. In addition to Amore and Cass, we see Apollo Cruz and Baron Corbin move to the main roster, and the arrival of Luke Gallows and Karl Anderson, reunited with AJ Styles, as they begin their WWE journey and Cesaro as he prepares to return to WWE Raw. All speak eloquently and openly about their experiences. Whilst it’s great hearing from the WWE Superstars and experiencing the behind-the-scenes work that goes into making Raw happen as we wait to see new guys debut, there’s very little from the creative aspect as to what makes it the “new year” for the WWE. Stories aside, it’s a great documentary if you want to experience the fans getting rowdy and watch WWE praise WWE for being WWE. Clearly, this one documentary - running at 55 minutes - doesn’t fill all three DVDs. 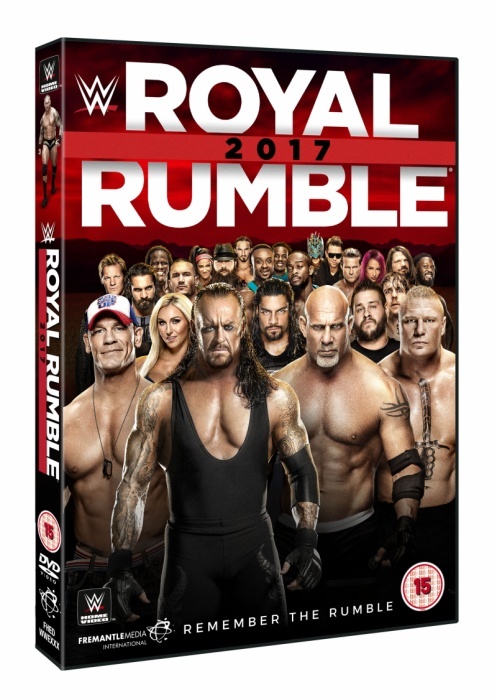 The other two DVDs are full of Raw-After-Wrestlemania moments and, with over thirty years of shows to choose from, there’s some truly great stuff here. The two discs benefit from being full matches and segments, instead of highlights, but offer no more insight than the commentary - there’s no comments from current day stars, nor is there any context really offered to what we’re watching. We do see Bull Nakano vs Alundra Blaze from 1995 showing how great women’s wrestling used to be before it descended into titillation before talent. Thankfully, the other women’s match chosen for this collection is AJ Lee vs Paige from 2014. From there, it’s a mixed bag of history, with only a couple of years missing. There’s a handful of championship matches, a few matches and moments that WWE fans may have forgotten about and plenty of stuff that reminds fans just why they continue to watch the product - Amongst others, we see Stone Cold Steve Austin, Vince McMahon, Triple H and Shawn Michaels at their finest on the microphone (and, in Michael’s case, Psycho Sid being… well, Sid), Rick Flair’s retirement speech, Vince McMahon failing to convince Steve Austin, Rock and Cena, Ultimate Warrior’s final appearance, the return of the former 123 Kid, Goldberg, Brock Lesnar, Hogan and the nWo, the ten team battle royale which saw British legend Dave Taylor and William Regal in action, Eddie Guerrero vs Jericho and much, much more. Hopefully, for more recent fans, they’ll want to revisit moments past to discover the story of some of these classic (and not so classic) moments, especially with the likes of Guerrero, Regal, Blaze, Helms, The Sandman and Tommy Dreamer featured, given how much footage is available on the WWE Network. The documentary may not hold up to repeat viewings, but the two discs of matches and moments will. The Royal Rumble, WWE's annual take on the Battle Royale match format, has reached it's thirtieth anniversary. So San Antonio hosts a very significant event, with a potentially great card. The titular match usually holds it's fair share of surprises, shock returns and twists with the severity of hair-pin bends on the Road to Wrestlemania. Four title matches on the under-card means that this DVD should be quality from bell to bell. With no 'Special Features' to consider, the show-proper started with melange of moments of significance in Rumble history, followed by a more up-to-date reel of of the significant feuds coming into this PPV, particularly Bayley/Charlotte, AJ Styles/John Cena and Brock Lesnar/Goldberg. A good little segment that segued to the first line-up of the continually rotating commentary team, who fervently started to build the importance of the Road to Wrestlemania, the significance of the 30th anniversary and, of course, the Alamo Dome, San Antonio Texas. Bayley looked the epitome of her ebullient self as she entered, whilst Charlotte took the Flair familial Ring-Robe gimmick into fantasy uber-villain territory with a look of supreme arrogance on her face. It was effective, as smug always winds people up. Opening the match, and the card, Charlotte demonstrated her physical superiority over her smaller opponent. This only fired Bayley up, which culminated in a diving enziguri from the turnbuckle to Flair at the ring-side, followed up by a massive splash. She couldn't maintain the offence however, and Charlotte resumed her grinding pace and tactics. The champion became increasingly sadistic with frustration and began trash talking, which matched the arrogance of her entrance to a tee. It left room for some typical Bayley cheeky opportunism though, as always explosively high-risk, and led to a Macho-man elbow-drop that gave Charlotte a fat lip. Despite a good showing by the fan-favourite compulsive hugger Bayley, Charlotte cemented an imperious victory to make it 16-0 on PPV, with a Natural Selection from the top turnbuckle to her recovering adversary, right onto the ring apron. It was merely a simple task to roll her in for a pin. A strong mix of psychology, exciting high-spots and grinding attritional power to open the show. Following this excellent opener, we saw the 'Shark Cage' being lowered to the ring before a highlight reel of last month's Roadblock: End of the Line PPV which Kevin Owens retain his title against Reigns thanks to 'Best Friend' Chris Jericho's disqualifying interference. The frequency of similar occurrences is enough for GM Mick Foley to stipulate the old-school cage as a means of insurance for this upcoming match. Y2J played the fear of the cage to the hilt, then right at the last second jumped Reigns with Owens in tow. Reigns sent KO to the ring-side and quickly pummelled Jericho in to the cage to get the match started. We were soon into some quality through-the-arena brawling, and it was no surprise when they hit the foreign announce tables. KO came out on top, so spent some time getting steel chairs in a stack. Avoiding taking that big-hit, Roman worked his power moves to eventually set up a table on the outside, only to take a massive Owens frog splash through it. No three count for the Canadian, so he went back to using the chairs to good effect before Jericho unstashed some brass knuckles and dropped them from his high vantage point. Still no luck for him though, as Reigns kept kicking out. A Samoan drop through a chair gave Roman a chance at a pin, but 'no dice' for him either, so he put a table in the corner of the ring. This gave KO chance to recover, try a stunner (another close pinfall) and climb up top, only for a recovering Roman Reigns to Superman-punch Owens through the pile of chairs that had been a tantalising tease all match. No pin attempt now though, as, playing the long-game, Reigns followed up with a bomb through the announce table. Just as it looked like Reigns had the victory in sight, Braun Strowman surprised him (me, and probably a fair few others too) with an ambush, slamming the challenger through his own table set up. Owens had just enough wherewithal to roll his near-corpse over the remains of Reigns to retain. An incredibly well constructed Tables and Chairs brawl, with plenty of TLC-style action and pin attempts. That tall stack of chairs provided excellent anticipation before the shocking finish too. More Rumble 'moments' followed, building effectively for the main event, and subsequent tombola draw of Rumble entries which featured the RAW and Smackdown management teams with Sami Zayn and Dean Ambrose picking their numbers. It seemed like a bit of a throwaway comedy skit. A highlight package covered the background to this match, primarily concerned with the resurgent Neville's unapologetically single-minded quest to become 'King of the Cruiserweights'. It provided a meaty angle to this title match of the rebooted high-flying division. Swann took to Neville with determination and athleticism to open the match, which demonstrated the fire and skill that landed him the belt, but soon Neville slowed the pace down and began his methodical grinding. Swann used the ropes well to break, given the opportunity, whilst the Geordie lad sadistically made full of every referee count. It wasn't all one-way traffic though, as Rich Swann managed a thunderous superkick as Neville flew in from the top turnbuckle, to mount a valorous comeback. He couldn't make good on it though, submitting when Neville twists his arms in to the brutal Rings of Saturn. I'm not normally the greatest fan of villains, but this new no-nonsense Neville could be King of the Cruiserweights for some time yet, given this showing against the internationally experienced Swann. Those of you who follow my DVD reviews may already be aware that I firmly believe Cena and Styles put on some of the best WWE matches of 2016, and this promised to be a gigantic reprise with the added 'sauce' of the title. Victory for AJ would mean leaving his First Anniversary show still as champion, but even more significantly for John would be that elusive record-tying Sixteenth world championship reign. In comparison to those epics, it did not disappoint: the stunning spiralling sequences of signature moves, counters, trips to the turn-buckles for some super-augmentation and knife-edge rallies of the previous bouts were all present, but with a different twist. To use the old Spinal Tap idiom, they 'turned it up to eleven'. John Cena looked to have the match in the bag with a ring-shaking super-AA that slammed AJ to the centre of the ring from many feet in the air, but Styles kicked out of the following pin attempt. He responded by locking in his eponymous 'Clash', but that couldn't keep Cena down either. It took a further two repetitions of an Attitude Adjustment to finally finish off the reign of Styles, and claim the sweetest of spots in the history book right alongside 'The Nature Boy' Ric Flair. This match really did that significance justice. Main Event: The 30th Annual Royal Rumble match. The last highlight package of Royal Rumble statistics were run to lead in the match, before the commentary team took us through the rules. Essentially, 30 competitors enter with two minutes between each of them, elimination is by over-the-top-rope with both feet hitting the floor, last man wins. Big Cass, who had the honour of the number-one draw, came out with partner Enzo Amore and delivered one of their tremendously popular promos, Pre-Rumble. 'Y2J' Chris Jericho was second, Kalisto third (who then had a good big man/little man moment with Cass) and Mojo Rawley fourth. The next music to play led to some serious excitement in my house, as Jack Gallaher entered, which meant the cruiserweights were being included, and he was utilising an umbrella to great effect. It wasn't just us British nutters who seemed to enjoy his surprise entry, the crowd in Texas were going nuts too. It was to be no fairy-tale though, Jack was eliminated first despite a Mary Poppins moment thanks to entrant six, Mark Henry. Braun Strowman was right out to cheer me back up, chucking Rawley, Cass, Kalisto and Henry over the top in short order. Sami Zayn arrived to continue his enmity with Strowman, and took two minutes of pummelling 'til Big Show entered the fray and provided a distraction. Good stare off, too. He slammed Braun, but was immediately forced out in retaliation. At number ten, it was the perfect point for the 'Perfect Ten' Tye Dillinger to make his main roster [re]début, which popped the crowd (and me), providing another top-notch surprise. He and Zayn stuck it to Strowman as James Ellsworth made his way, tentatively, to the ring. Ellsworth still hadn't made it in when Dean Ambrose appeared, but was easily tricked into diving in and being fodder for the elimination machine Strowman. Baron Corbin came out to make it a four-on-one on Braun who responded by adding Dillinger to his list, before he received a Helluva Kick from Zayn and a lariat from Corbin which sent him over-and-out. Kofi Kingston and The Miz entered next. Kofi continued his Rumble tradition of impressive escapes by almost impaling himself on a ring-post. Sheamus in, followed by Big E then Rusev in a protective mask and Cesaro, which made it quite a melée. Proper battle royale stuff. The commentary noted that Sheamus and Cesaro lost their Tag Titles to Gallows and Anderson on the pre-show, conspicuous by it's absence from this DVD. Xavier Woods entered to complete the New Day too. The Alamo Dome went dark and the fireflies came out as Bray Wyatt made his usual grand entrance and set to dealing some damage, although his explosiveness was one-upped by the incoming Apollo Crews. The New Day were eliminated en-masse by Cesaro and Sheamus before Jericho opportunistically tipped the squabbling pair over as well. The newest Wyatt family member, Randy Orton, rampaged at 23, Ziggler at 24 going after his recent enemies Miz, Ambrose and Crews. Another Wyatt, Luke Harper, was next, but reneged his family ties to unsuccessfully attack Bray and Orton. Brock Lesnar stormed the ring taking out Ambrose and Ziggler, and left the rest in a devastating wake of suplexes and F5's. Enzo Amore was the hapless subsequent entrant, rag-dolled straight back out by the 'Beast Incarnate'. Goldberg made his trademark entrance as well at 28 (as if the pace hadn't increased enough), stomped down to the ring and speared Lesnar allowing him to be cast out the ring. Yet again the stadium darkened, this time for the supernatural presence of The Undertaker. Goldberg took out Rusev and Harper, whilst the 'Deadman' pitched Baron Corbin over the top before he made sure Brock's nemesis hit the deck too. Last man out to the ring, Roman Reigns, got a chorus of booing from the Texan crowd as he stared off with Undertaker. Not as much as when Roman tossed him out a few moments later, after he had taken care of Miz and Zayn. Reigns got some revenge for earlier by finally putting Jericho out, and the crowd's ire increased as another unwanted Rumble victory for the despised Samoan Superman loomed. The intense anger seemed to max-out seconds later as he took out the charismatic cult-leader Wyatt, but the pay-off came as Orton snapped off a trademark 'RKO outta nowhere' to stun Reigns enough to claim the win and his Wrestlemania Main Event slot. This really does live up to my expectations of excellence from the start to finish, the under-card oozing with it's title match prestige, each one exemplary of it's genre, and a Royal Rumble that made up for a slight lack of genuine surprise entries with coherent narrative. On that note, an NXT call up and a solitary unexpected Cruiserweight competitor barely qualified as surprise, but they were timed so well that it kept the early momentum of the epically long match flowing. If moments of wrestling history that actually live up to their significance is what you want from a PPV, then this ticks every box. I don't often do consumer advice, mainly because I'm not qualified to do so, but one thing I am qualified to say is: Books are the best. Well, not the best, I'd say wrestling is the best, or maybe movies, but they're pretty great, unless you don't like books in which case then this column probably isn't for you anyway. Sorry. If I may step away from the silliness, I'll explain. You see, I like reading, have done since I was a kid, I also like wrestling, hence why I write about it so much and one of my treasured possessions is my Kindle (other e-readers are available) which is chock-a-block full of books, and most of them are about wrestling, in fact at the moment I'm alternating between two books about wrestling, and they are: A Lion's Pride a book about the history of New Japan Pro Wrestling and Power Slam Interviews: Volume One a book of interviews from the lifetime of British Wrestling Magazine Power Slam. I'm about halfway through each and thoroughly enjoying the read, Lion's Pride in particular gives a great insight into the history of a promotion many have just become acquainted with, and with the Power Slam book, I really enjoyed reading the book about the history of the magazine while I was on holiday last year and have only just got round to buying it, just in time for Volume 2's release. So, why am I talking about what I'm reading? 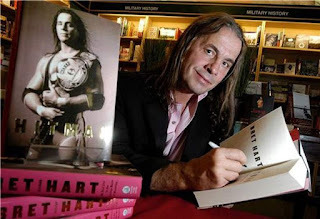 Well, because in this article I'm going to highlight a few personal favourites and talk about them, because as with everything in wrestling, we need to encourage the writing of wrestling books for the enjoyment of fans worldwide, potential authors need encouragement after all, so for your enjoyment and to better your book collection, I attempt consumer advice. Enjoy. The death of WCW is all over the internet to be ridiculed by all, and quite often it is, but nothing quite covers the history and misgivings of a promotion that went so horribly wrong as this books does, written by the same men behind the website and books WrestleCrap give an informative and humorous read, I'd recommend getting the 10th Anniversary Edition of the book as it include more content including all the 'Lessons Not Learned' after the closure of WCW, and an entire chapter dedicated to TNA, in comparison with the decisions made in the last few years of the deceased company. Also the audio-book version, read by Alvarez is worth a listen as hearing the stories read aloud somehow makes them more absurd, and more importantly, entertaining. Really, all four of Mick Foley's memoirs could appear on this list, but I'm trying my best to keep it to one book per author, so I'm including his first book, which is somewhat of a trailblazer in the wrestling autobiography world as he wrote it all himself, without the aid of a ghost-writer, and what's more he wrote it all in shorthand, as he was computer illiterate at the time, it's somewhat of a revelation too, as Mick comes across as the world's most likeable, charming man telling his story which took him from sleeping in his car and travelling 600 miles to training all the way to winning the WWE World Title, all the time telling his story in his own charming style, what's even more impressive is he kept this up through FOUR books, it was also a best selling phenomenon, who'd have ever though that the guy who fell off a cell would ever be a New York Times Number One Best Seller, three times in fact! A book that set the standard for all wrestling books to follow it. Again, a case of any book could have been included Jericho has written three volumes of his autobiography so far, with a fourth to be released in the summer and like Mick Foley before him, tells his story in a unique and entertaining way, dropping a lot of references as he goes, not only does it cover his wrestling career but his out of the ring exploits, including his band Fozzy, who I am a fan of also. This book covers his career up to his WWE debut, through WCW, ECW, Mexico and Japan as well as a bit of tragedy, some may prefer reading about his WWE runs, but to really get a measure of Jericho, you really need to start here. The Book of Jericho. Read It Maaaaaaaaaaaaan. A book closer to home now, as James Dixon chronicles the turbulent life of 1PW, a British company which spent big, went through several pairs of hands, and ultimately went under into bankruptcy due to overspending and bad management, also, uniquely it's told by the wrestlers at the centre, the book is based around interviews about the events and paragraphs of exposition by the author to tell of the events behind the scenes and first hand accounts by wrestlers and personalities including the companies founder to tell it's story and as with WCW it's intriguing to read about a company self destructing, as intriguing as it is devastating for those involved. This was a book that was long awaited, and one I've read many times over, Bret has had an unmatched career with many stories and title reigns, sprinkled with the bitterness that we've come to know from the Hitman in recent years, he's still a man who is clearly hurt, even almost 10 years on from Montreal at this point and possibly a man still grieving for his younger brother, taken by the industry he'd given his entire life to, in reading all the trials and tribulations of Bret, you feel many things, elation one minute, devastation the next, it is a map of human emotion masquerading as a wrestling autobiography, and you should absolutely read it, as a wrestling fan, or as someone who is interested in the backstage stories of the late 80s and early 90s. So, there you have it, actual consumer advice, and what's more you can probably pick a few of these up for very cheap these days, especially the Mick Foley ones. Another one I'd recommend but couldn't put on due to my 'One Book Per Author' rule but deserves to be mentioned is Titan Sinking by James Dixon, it's a book about the worst year in WWE history, 1995 and it's a fascinating read. In conclusion, we should all read more, especially us wrestling fans, given how the mainstream perceive us as knuckle-dragging neanderthals, so let's prove people wrong. Also, tweet me if you think I've missed any.